Connects a PCI Express video card with an 8 pin（6+2P）connector to a power supply with two 4 Pin power connections. 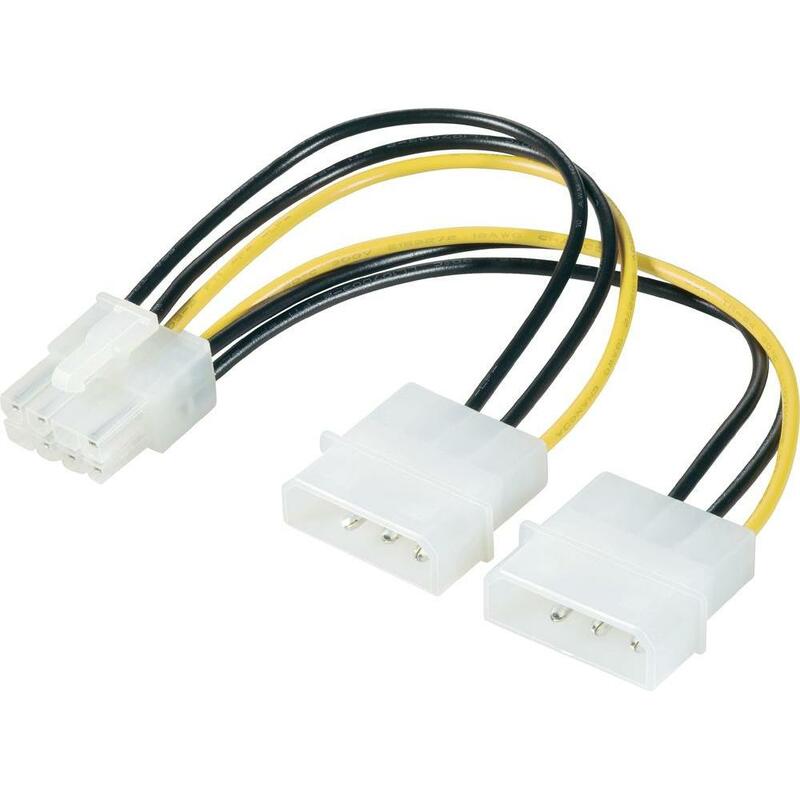 Female PCI-E connector with a latch provides a safe connection to prevent accidental disconnection. 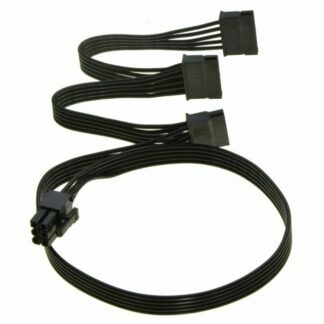 Wire Length:7inch; 2x 4-Pin Connector with Male Pins. 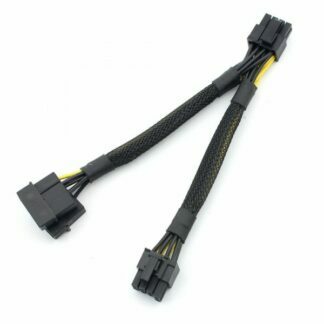 1x 8-Pin PCI Express Connector with Female Pins. 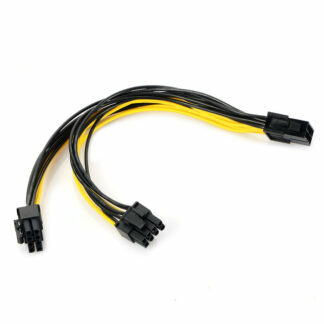 Providing a convenient solution for video graphics card power with two Molex connectors for GPU cards that requires more power. Compatible with desktop computers, graphics cards, hard drives, CD-ROM drive , like for ASUS, EVGA GeForce, Gigabyte, Sapphire, and XFX.